Who loves a sale? I do!!! 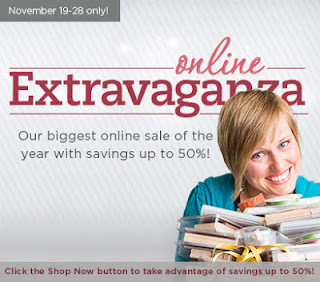 And when Stampin Up products are on sale I can hardly contain the glee I feel. Anyone else share my passion for stamping sales? Click here to see a PDF file listing all of the Stampin Up products on sale---many of them are 50% off! For bundles you must use the product numbers given on the flyer to receive the discount. There are 2 door-buster sale days during this Extravaganza--don't miss the first and last days of the sale.....these special door-buster sale prices are ONLY valid the on the specified date. If you have any questions, give me a call or drop me an email! 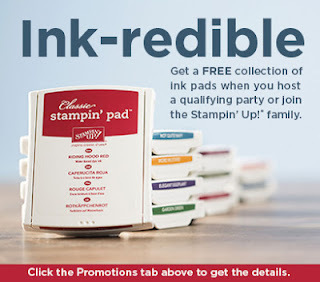 I have lots of Stampin Up news to share so let's get to it! Stampin Up’s 10-day Extravaganza sale will begin on Monday, November 19th ends on Wednesday, November 28th. Sale items have been revealed, click here for the sale list---and those of you craving a Big Shot will be happy to hear it will be on sale for 20% off (for 1 day ONLY on November 19th)! Other products are featured on sale, up to 50% off. Sale items can be purchased with regular priced items via my online store, on a workshop order, or directly with me. Quantities are NOT limited! Stampin Up is test marketing Sizzix’s Texture Boutique embossing machine; a limited number of these machines are available during this trial. 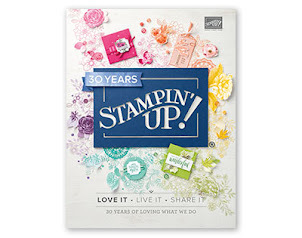 If the marketing test goes well it may be added to the Stampin Up product line. The Texture Boutique works with Textured Impressions Embossing Folders to transform ordinary cardstock, paper, metallic foil, or vellum into an embossed, textured masterpiece. The Textured Boutique machine embosses only; it does not die cut. It is offered individually ($29.95, #132657) or bundled ($39.95, #132700) with two Stampin Up exclusive embossing folders (bundle valued at $45.85)--the Flower Garden Textured Impressions folder and the Stripes Textured Impressions folder. Some of you may know that at one time I had 3 different trimmers because I couldn’t find all the features I wanted in a single trimmer….until now! I am in crafting love with Stampin Up’s new trimmer; it has every feature I’ve longed for. Want to know why I’ve fallen head over heels? Ok, I’ll share what makes this trimmer so special! Order yours today and feel the love! Stampin Trimmer, #126889. 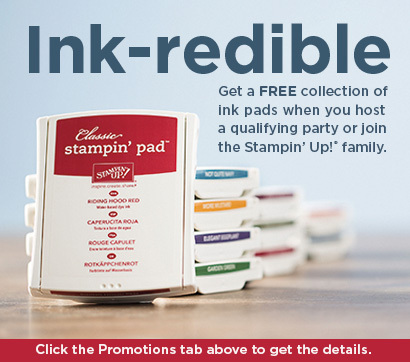 Get a collection of 10 ink pads FREE when you sign up to be a Stampin Up demonstrator. The demonstrator kit is a great value at just $99 but you get to select up to $125 of stamping products (and shipping is FREE! ); with the FREE ink pad collection the kit value is $175 for just $99!!! Sign up today---this offer ends December 16th. 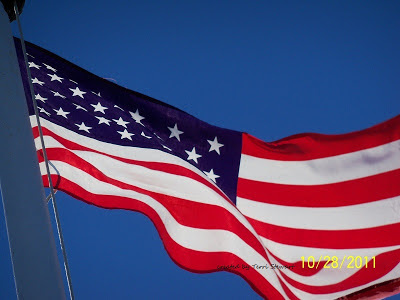 Consider signing up to be a Stampin Up demonstrator…. the kit sells for $99 and has a value of over $175 with the current FREE ink pad promotion. You get to choose whatever you want -- stamp sets, ink pads, cardstock, tools, etc. up to $125 AND which collection of ink pads you want. If you buy the kit you are under no obligation to hold any shows, parties, make minimum sales, etc--there are no strings attached! It's a great deal—plus, you are under no obligation once you join! Increase the value of your kit by selecting bundles and sale items for your kit; join on Monday, November 19th (the first day of the Extravaganza sale) when the Big Shot is 20% off, by including it your kit would be valued at $195. If you purchase the kit, stamp a few holiday cards for yourself then do nothing else, you get to keep all the fabulous items you chose or give them as gifts. Did I mention there are no obligations, no strings of any sort??? Of course, if you were interested in earning extra cash, you’ll have everything you need to launch your business, including support from me and Stampin Up. Click here to check out the benefits of being a demonstrator. I’d love to have you on my team – join today! Thank a veteran and their family....freedom isn't free.